The Government of India has approved a project, originally proposed by the National Library in Calcutta for the Preservation of Early Twentieth-Century South Asian Books. MIPP was inaugurated in 1990 by the Library of Congress and the National Library of India under an agreement between the U.S. and Indian governments. The South Asia Microform Project at the Center for Research Libraries holds microfilm for use in the U.S. Film copies are also available at the Library of Congress. Major support for MIPP has come from the National Endowment for the Humanities and the U.S.-India Fund for Cultural, Educational, and Scientific Cooperation. A list of participating libraries is available by clicking here. 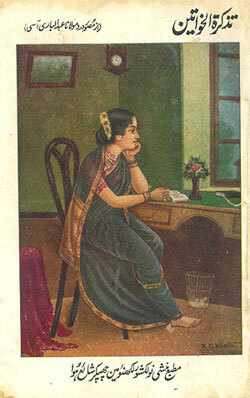 To microfilm and catalog all the books listed in The National Bibliography of Indian Literature: 1901-1953 (NBIL). Books published in India during the first half of the twentieth century document a crucial period in the political and cultural history of South Asia. They chronicle the development of regional literatures in the Indian languages, document the cultural milieu of the struggle for independence from colonial rule and exemplify the flourishing of scholarly publications in the subcontinent. For these reasons, books published during the early twentieth century are much sought after by Indian and western libraries. Unfortunately, despite their acknowledged importance to scholars both in South Asia and elsewhere in the world many of these texts are rare even in Indian libraries. To compound this difficulty, most of the books from this period were published on highly acidic paper that deteriorates even more rapidly than paper used for books during the previous century. Many invaluable texts are literally turning to dust. These three facts - high demand, paucity of holdings, and low quality paper -- have combined to make these books more vulnerable to bibliographic extinction than many nineteenth-century works. Librarians are faced with the dilemma of maintaining liberal access rules that risk the loss of valuable, fragile texts, or, restricting users' access in order to prolong their shelf-life. In the end, even with restricted access these books are in immediate peril of disintegration. The Project aims at providing a solution to this dilemma by preserving the publications on archival-quality silver halide microfilm and providing libraries with service copies that can be used by scholars, thereby prolonging the shelf-life of the books. It is a solution that serves the conflicting goals of preservation and allowing liberal access to scholarly resources. The four volumes of The National Bibliography of Indian Literature: 1901-1953 published by the Sahitya Akademi from 1962 to 1974 are used by the Project to identify important books published in South Asia during the first half of the twentieth century. Compiled by a group of esteemed language specialists under the editorship of the renowned scholar Sri B. S. Kesavan, then director of the National Library in Calcutta, and listing nearly 56,000 titles in sixteen Indian languages, the selective NBIL constitutes one of the most authoritative bibliographies of the period. In addition to the original four volumes of the bibliography, the Project was extended to include the fifth volume (Sahitya Akademi, 1990), edited by Sri K. C. Datta, which lists another 1,378 titles in Dogri, Konkani, Maithili, Manipuri, Nepali, and Rajasthani published through 1953. Microfilm is simple to use and store, relatively inexpensive, and familiar to libraries in India. The life span of silver halide microfilm is estimated to be at least 500 years and books preserved on film can be subsequently transferred to electronic or other media. In the absence of a final verdict as to the archival value of newer technologies such as compact disks (CDs), research libraries faced with deteriorating collections have chosen microfilm as the preferred long-term solution. Indian libraries are beginning to use microfilm to improve access to their collections and preserve them for future generations. Several libraries have started microfilming projects for their manuscript, newspaper, and journal collections. This Project is the first large-scale project aimed exclusively at monographs and as such complements other initiatives already under way. How is the Project staffed? A Steering Committee was constituted to formulate policy guidelines and monitor progress of the Project. The Committee includes representatives from the Indian libraries responsible for the Project, the Library of Congress, and independent scholars from the academic community. Sri Subhas Biswas, former Director of the Central Secretariat Library, New Delhi was the Project Director until 2000. Creation of the NBIL database was completed in 1992 by a team of computer operators. Those electronic records are now used to manage microfilming activities. As more and more of India's important libraries join in the microfilming portion of the Project is peripatetic. Among libraries already committed to the Project are the Central Secretariat Library of the Department of Culture in New Delhi, Connemara Public Library, Marimalai Adigal Library, and Roja Muthiah Research Library in Madras, Bombay University, SNDT Women's University in Bombay, the Gujarati Sahitya Parishad in Ahmedabad, and the Khuda Bakhsh Oriental Public Library in Patna. The first financial support came from the United States-India Fund for Cultural, Educational, and Scientific Cooperation (USIF). This was followed by a major grant from the U.S. National Endowment for the Humanities covering preservation of books in Marathi, Gujarati, Konkani, Sindhi, and English languages. As of February 1997, after four years of microfilming, 15,350 title were filmed. 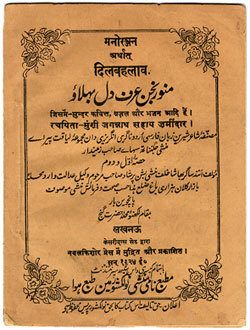 Preservation of almost all of the titles in the Marathi and Gujarati sections has been completed. Major progress has been made in Tamil, Hindi, and Kannada literature. Following a decision by the Steering Committee, a master negative and a service negative of each book filmed as part of this Project has been deposited with an appropriate Indian institution to be designated by the Government of India. The Steering Committee recommended that the repository institution should be selected on the basis of its abilities to provide long-term storage with controlled conditions for the preservation of the master archival negatives and to service Indian library and scholarly needs for film duplication. One positive or one service negative copy of the books filmed at a library has been made available to that library upon their request. The electronic NBIL bibliographic database is available to participating libraries upon request. A master negative and a service negative copy of the books filmed has been deposited with the Center for Research Libraries in Chicago for use by scholars in the United States. Microfilming is done by a staff of camera operators specially trained by the Library of Congress. In order to produce archival quality microfilm that meets international standards, they use microfilm cameras owned by the Library of Congress and transported to the participating libraries. Books are handled with special care during microfilming to avoid damage. Libraries participating in the Project have the sole authority to decide which books in their collections may be filmed and whether they may, if necessary, be unbound for filming. This will be necessary in the case of brittle books that may further deteriorate during the filming process. Each library weighs this risk against the need to preserve brittle works with limited shelf-life. All books filmed for this Project will be returned to the shelves of the participatinglibraries after cleaning and rebinding as necessary. Books not found in Indian libraries will, if possible, be filmed from the collections of the British Library, the Library of Congress, or other U.S. libraries. When possible, the relevant books from those collections will be brought to New Delhi for filming. The Project covers all costs related to database preparation, microfilming, rebinding, and service copying of microfilms. In addition, the Project covers some personnel expenses incurred by the libraries in preparing for and during microfilming, as negotiated between the Project Director and the individual participating library within agreed upon guidelines and budgets. Finally, at no cost to the Project or the participating libraries, the Library of Congress makes available technical expertise and training in micrographics as required for the success of the Project. Experts from the Library's Photoduplication Service are used for this purpose. The Project will not pay for equipment, site renovation, storage, or capital improvements for participating libraries. Other policy issues that may arise during the execution of the Project will be decided by the Steering Committee which meets once a year. Matters requiring more immediate resolution are referred to the committee members by the Project Director. How are India and its libraries benefiting? India is preserving for posterity a large and important segment of its bibliographic production currently dispersed through manylibraries. Individual libraries are preserving large segments of their own collections at no cost. Knowledge of Indian bibliographic production has increased by the creation of an electronic database that will be available to all participating libraries in India and in the United States. The creation of an electronic database of nearly 56,000 Indian imprints is helping Indian libraries in the retrospective conversion of their catalogs and in the creation of a national union catalog. Access to the books is being greatly enhanced and the remaining life of the books on the shelves is extended. Scholarship on India is receiving a great impetus both in India and abroad. Indian publications not currently present in Indian libraries are being microfilmed and made available to Indian users. Knowledge of preservation and micrographics technologies is being spread among participating libraries, training experts who are able to apply their new knowledge to other library projects. Interlibrary cooperation in India will be stimulated by the nation-wide scope of the Project and the participation of government, university, public, and private libraries. The magnitude of the Project is attracting the attention of the scholarly world, especially that segment interested in South Asia.